Made this for Mary’s going-away party; got the recipe from my own Granny Mary. It was a big hit at the party, where I drank way too much because I was so happy to be making new friends and getting along and being liked, etc., etc. Then the next morning I woke up still wearing all my clothes, with the cell phone the my pocket and everything–a brutal hangover–and I had to have Kevin help me fill in some details from the night before. -1Stick chopped margarine. That means, 1/4 lb. I use Butter. 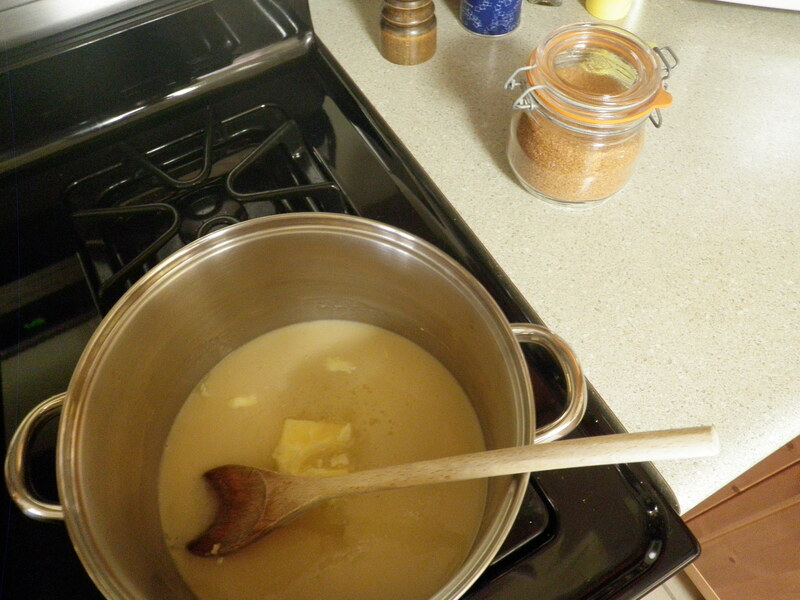 Bring butter, sugar, and condensed milk to a boil over medium heat in a medium saucepan medium saucepan. Boil for 5 minutes, stirring CONSTANTLY. 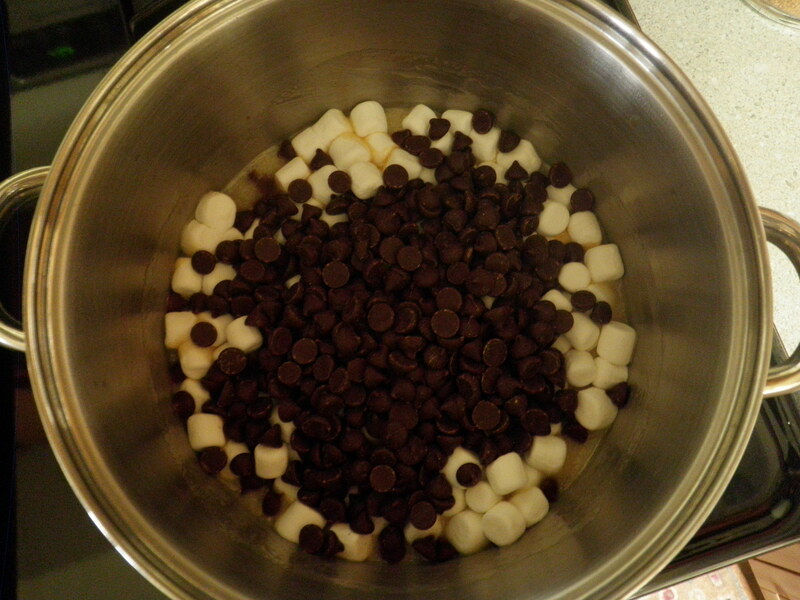 Remove from heat and add the chocolate chips and marshmallows, stirring until mixed together. Pour into a buttered glass baking dish or a foil-lined metal baking dish. 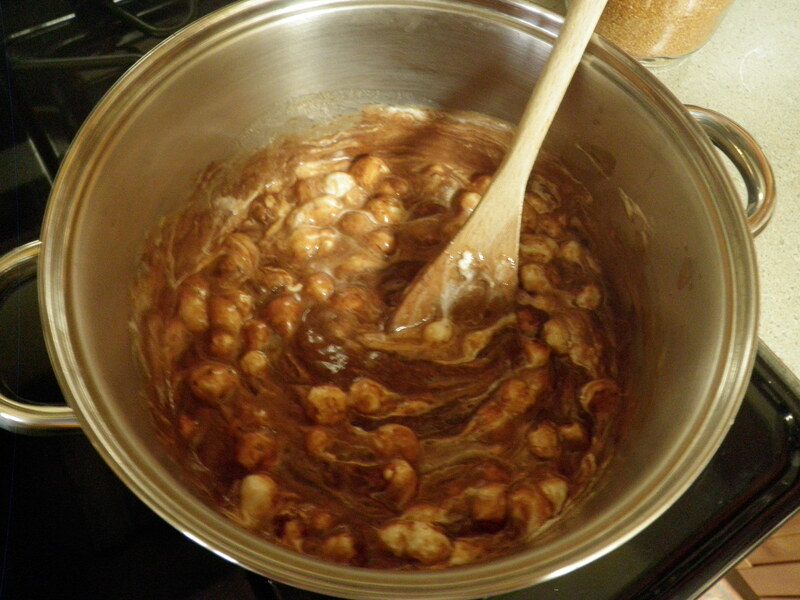 When set up, cut into squares or roll into balls and dip in melted chocolate.